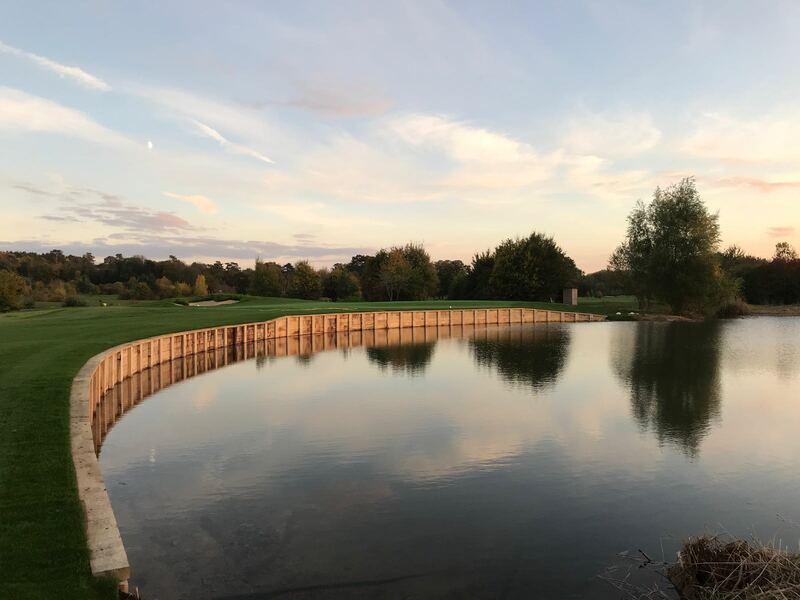 On many of our projects we have walls around lake edges to enhance the edge treatment and to bring greens or tees closer to the water. So how do we decide whether we will use timber or rock? Quite often if the site is rocky and during the earthworks a lot of rock is excavated then we will always use that as the walling. 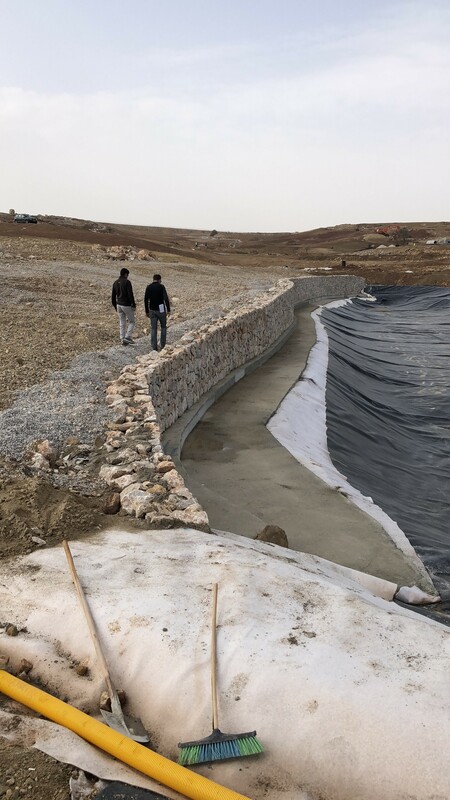 Firstly it is saving the project money because we are using a recycled product and the wall will look a natural colour because it has come from onsite. For our new 18 holer in Ankara our walling and open ditches are being constructed from onsite rock and looking great. The walls are a dry stone wall with tightly fitting smallish rock. I am really happy with the outcome and think it suits this open and expansive site. I have always found that sites with limited vegetation/ trees look better with rock. The rock in Ankara took 6 days to build. Incredible. 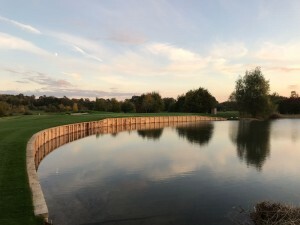 In a different direction we are doing a full renovation of a parkland course in Oxfordshire called The Springs Golf Club. The site is quite compact, flattish and tree lined. Because of the parkland feel we decided to use a wooden wall treatment. We had done a similar construction method at The Buckinghamshire and knew that it has a huge wow factor. The French Oak timber provides a stunning line and appearance on this site. The French Oak sleeper walls at The Springs GC. I love both styles of walling and when in the hands of expert craftsmen then look stunning.